Are you planning your wedding overseas or interstate or even here in Sydney or Melbourne?? You have come to the right place. 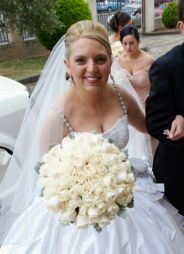 With so many types and styles of bouquets that we can make for you, you won’t be disappointed. Keep in mind that even in our Fresh Flower section, substitutes can be made in artificial flowers. Fresh flowers can only be supplied in the greater Sydney Metropolitan area, Australia. 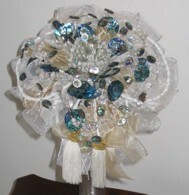 Our crystal and artificial bouquets can be sent anywhere in the world, and they have been.